The Shadow Switch is the amazing dry eyeshadow brush cleaner by Beauty Essentials. 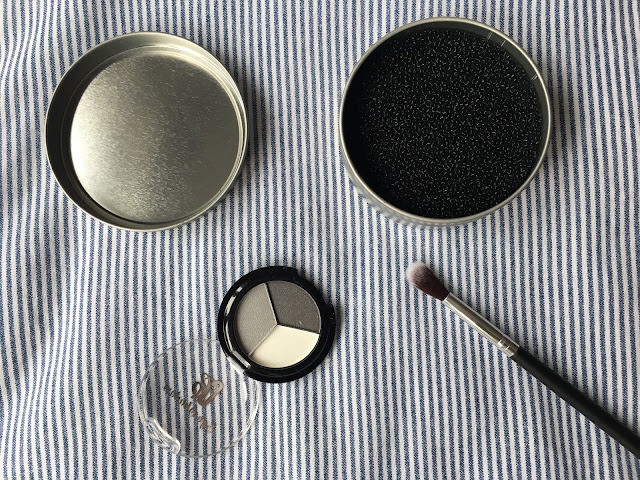 The brilliant makeup tool now has a firm place in my daily makeup routine. 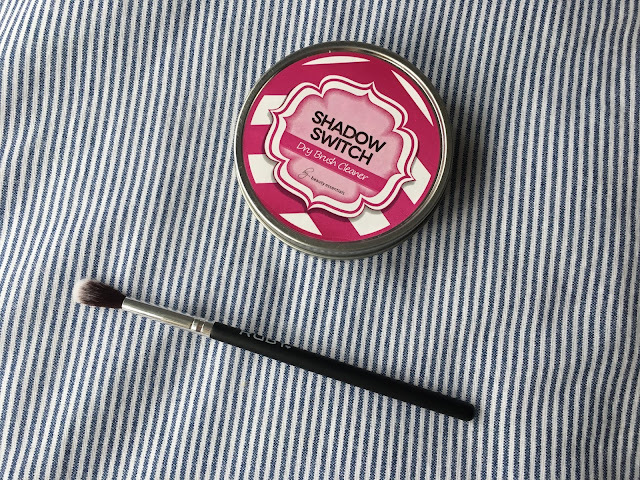 When creating an eyeshadow look it can be annoying to constantly keep using new eyeshadow brushes for different eyeshadow colours or shades, and this brush cleaner is the perfect solution to this problem. Also it's generally an amazing way to clean all your eyeshadow brushes. The cleaner is basically a special sponge in a tin; simple and amazing! It is quick and easy to use, as well as being hygiene and eco-friendly. Even though the sponge has a rough texture it hasn't damaged any of my brushes which is brilliant. 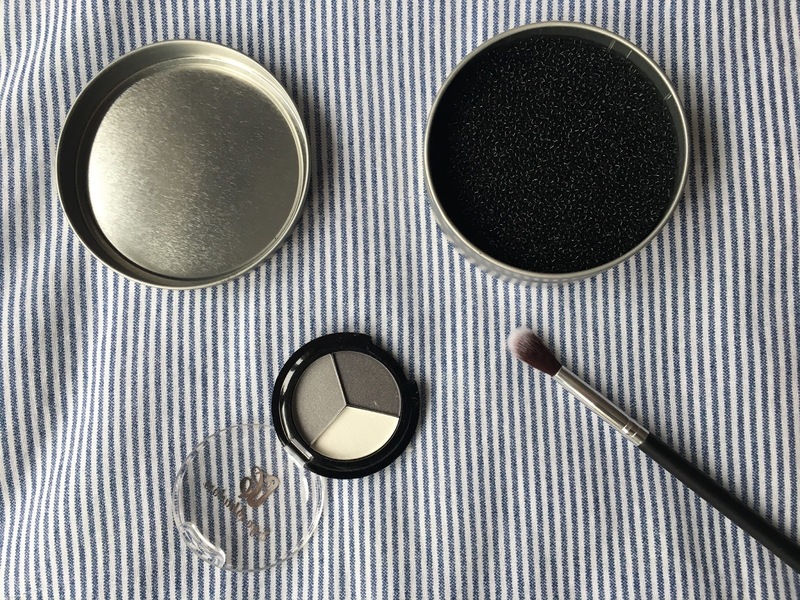 Once you've used the cleaner several times you may see product gathering so you simply wash the sponge as you would your brushes, and then let it dry naturally before placing it back in the tin. Then its ready to use all over again! 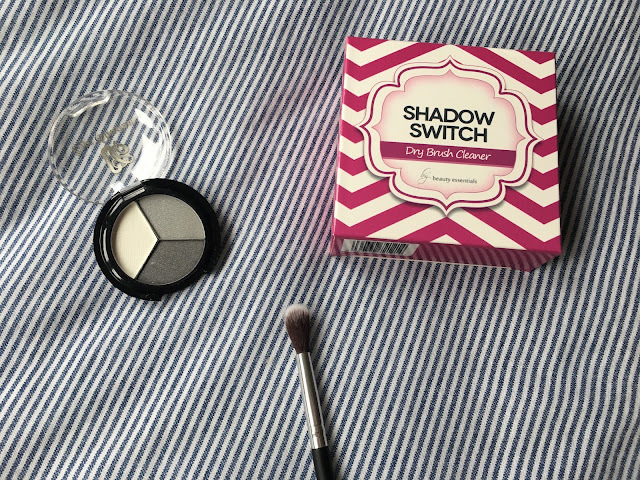 I would thoroughly recommend this product because it is totally affordable (£5.99) and it is certainly worth it! So many bloggers have been talking about this thing! I need to get me one of these asap!